Gone are the days when getting a flawless skin was all about applying the most suitable beauty products or opting for some kickass DIY beauty recipes. With the advancement of technology, the definition of skincare has changed drastically. Today’s beauty industry is seeing mechanical skincare devices, which can help beauty enthusiasts take their skincare game to an all new level. 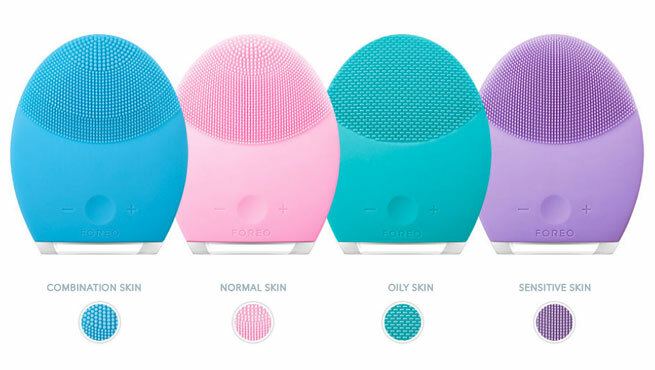 The LUNA™ range by FOREO is one such revolutionary concept that has already taken the beauty world by storm. Read on this LUNA 2 and LUNA Play Plus review to know more about this exclusive range. FOREO is the world’s fastest growing lifestyle brand focused on beauty and well-being solutions. It is a leading name among those globally acclaimed brands, which strive to make a radical differece in the lives of their customers with the help of breakthrogh innovations. Since 2013, the company has been creating a unique and lasting impression with their skin care and dental care ranges featuring cutting-edge technology and contemporary designs. With more than 65 beauty awards in its portfolio and a strong retail presence in 40 countries, FOREO never fails to delight its customers. The LUNA range by the brand is ‘the future of skincare’, which basically comprises avant-garde facial cleansing and anti-aging devices. The LUNA 2 is a technological innovation that combines enhanced T-Sonic™ facial cleansing brush and improved anti-aging system in a single device. The personalized device is designed around the life to transform the conventional skincare routines into energizing rituals. Indulging in a 2-minute daily skincare routine with the LUNA 2 not only results in a clean and blemish-free look but also eliminates a number of age-related concerns effectively, thereby revealing the youthful radiance of the skin. Based on clinical results, women experienced 100% more radiant skin, 98% smoother skin, 90% firmer and more elastic skin with the LUNA 2. The LUNA 2 is one of a kind beauty device that promises a refined, radiant, and youthful look… and well, it actually lives up to its claims! In this next-generation brush, the T-Sonic™ power is directed through soft silicone touch-points, which is 99.5% more effective in lifting away impurities than the regular practice of cleansing (using hands). It gently removes accumulated dead cells, dirt, excess oil, and makeup residue from the skin to open up the clogged pores, prevent breakouts, and give a clearer skin. Conversely, the advanced anti-aging system in the brush uses lower-frequency pulsations to treat the wrinkle-prone parts of the face. This helps in fading away the signs of aging, which results in a firm, elastic, and lifted appearance. The thicker body of the brush makes it easy to hold and effortless to use while diffusing both T-sonic pulsations and anti-aging pulsations efficiently for seamless effects. Its longer touch-points offer better reach while larger brush head covers a wider surface. The brush also follows a perpendicular and extremely gentle movement instead of an abrasive oscillation or spinning, which keeps the skin healthy and damage-free. The LUNA 2 exfoliates the skin without making it greasy or irritated and promotes the absorption of skincare products afterwards. It comes in four different models to suit unique needs of individuals. The brush (featuring a long-lasting rechargeable battery) also needs no replacement, which makes it a skincare investment of exceptional value, indeed. For an effortless skincare ritual, start with applying your favorite facial cleanser. To cleanse the face, activate the ‘cleansing mode’ of the device by making it wet and glide the cleansing surface over your face gently. Follow small circular motions for around 1 minute. Then, rinse well, pat the face dry, and apply your moisturizer. For anti-aging treatment, activate the ‘anti-aging mode’ of the device and press the anti-aging surface onto the wrinkle-prone areas of your face (around the eyes, mouth, etc.) for 1 more minute. The LUNA Play Plus is a more improved version of FOREO’s much-loved mini face cleanser LUNA Play. It comes with all the cleansing goodness of its predecessor while adding more power through the design and technology to achieve a flawless complexion. The small and powerful LUNA Play Plus helps women get the most out of a simple 1-minute daily facial cleansing routine in a travel-friendly as well as a pocket-friendly way. The LUNA Play Plus is the ultimate on-the-go electric cleansing brush that cleanses efficiently anywhere, anytime. Just like the LUNA 2, here also the transdermal sonic power is channelized through soft silicone touch-points. It gives 99.5% deeper and more effective cleansing than regular face washing practice by eliminating all impurities (dead cells, dirt, excess oil, and makeup residue). The device has quick-drying silicone body, which is 35 times more hygienic than regular nylon body. The broad brush head cleanses a larger surface area while soft and rounded bristles ensure a gentle yet right cleansing. As a result, you get a clear, smooth, and absolutely glowing skin. The super handy size of the LUNA Play Plus makes it a perfect fit for your purse and you will love to pick your favorite one from the exciting spectrum of colors. It comes with a replaceable AAA battery that lasts significantly longer. In short, this cute and compact device is the best skin cleansing choice to match your busy lifestyle. For a simple 1-minute cleansing routine, apply your favorite facial cleanser and switch on the device after making it wet. Move the cleansing surface gently over your face for around 1 minute by following small circular motions. Finally, rinse well, pat the face dry, and slather your go-to moisturizer. If you are looking for a simple and hassle-free skin cleansing routine that can bring noticeable changes in your appearance, these LUNA devices are just perfect for you. Get a squeaky clean skin, turn the clock back, and look flawless! 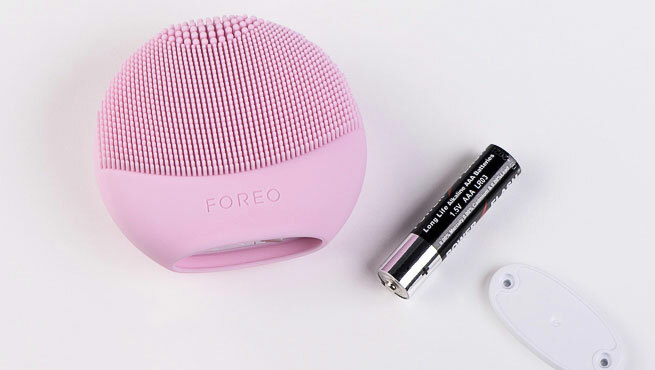 You will definitely enjoy the FOREO experience, we bet.